While we can’t say we’re completely surprised, we are still surprised. Palm CEO Jon Rubinstein has long advocated that Palm’s plan is to go it alone and that they had a path to return to profitability, but Bloomberg is now reporting Palm is putting itself up for sale. According to “three people familiar with the situation,” Palm is working with Goldman Sachs and Qatalyst Partners to find a proper suitor. Bids are expected to come in as early as this week. According to those sources, both HTC and Lenovo are keenly interested in acquiring Palm, and Dell had expressed interest, but has since decided against making an offer. 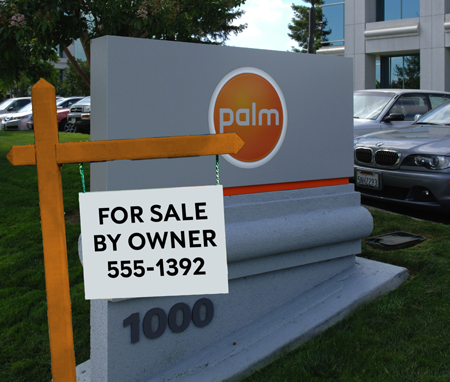 As we would expect, all parties rumored to be involved have declined to comment, but if Bloomberg’s sources are to be believed, Palm’s days as an independent company might be over very soon.